Wins $1 million prize money - CBS Talent Show. 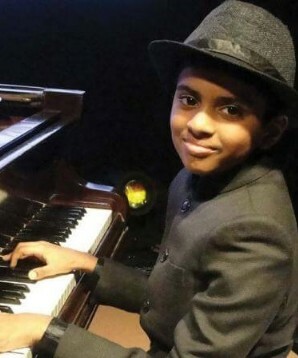 Lydian Nadhaswaram is a boy from Chennai who replaces children's games with the black and white keys on a piano. A video recording Lydian's masterful performance of Nikolai Rimsky-Korsakov's Flight of the Bumblebee became viral and is now known around the world. Click here to see the Lydian - Nikolai Rimsky-Korsakov's Flight of the Bumblebee became viral and is now known around the world. During the events celebrating National Piano Day in Mumbai, Lydian performed at the Tata Theatre of the National Centre for Performing Arts, considered the temple of Indian instrumental music. Along with dozens of veteran musicians, the 10-year-old delighted the audience with European classics and beautiful jazz pieces. The name of this young virtuoso alludes to the name of the city that gave life Lyric music. Today Lydian Nadhaswaram performs musical pieces that honor his name and the classics of Western music. During the National Piano Day, Indian musicians recognized the prodigy of Chennai. Western culture and Indian culture share the belief that music influences ethos. In India, Kayani raga music is considered the classic and people are encouraged to listen to it as a way of serenading the spirit. Mr. Varshan is Lydian's father, he is a fan of Kayani raga and at birth, his son wanted to name it Kayani, but Kayani is a woman's name. That's why he chose the name Lydian. Mr. Varshan's blessing was that his child at only 23 months of age began to play music. The first one played with an improvised battery and soon after with a battery that his father bought him. At the age of 4, he enters as a new student of the Musical teacher Mr. Maynard Grant. The class lasted for many hours for several years. Lydian's ethos grew in rhythm and love for the music he played. 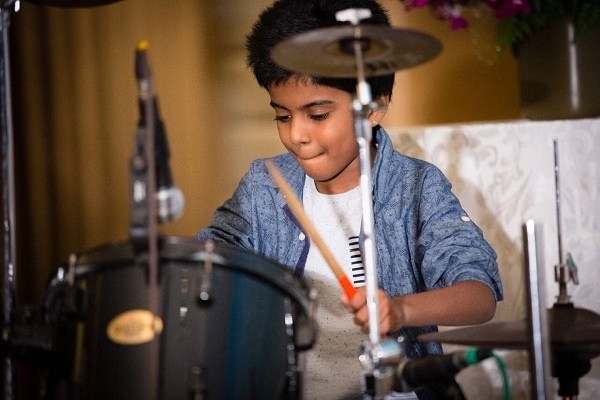 In 2013 he was awarded India's best children's drummer. In 2017 he performed a drum solo that lasted for 11 minutes during the celebration of the National Drumming Day in Mumbai. When he was only 8 years old, he dominated the Carnatic percussion and indefectibly entered rock. The incursion into the piano keys was through his sister's company. She plays the piano and Lydian accompanied her on drums, but soon discovered the appeal of the piano. It was simple Lydian possesses absolute ear. 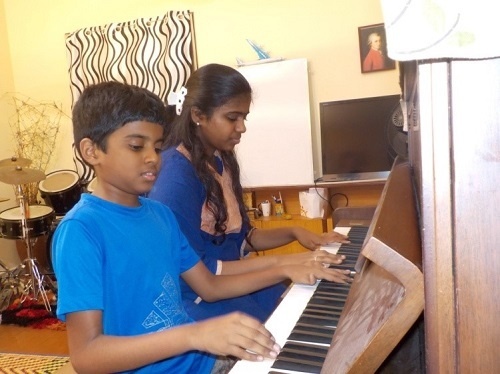 She took the challenge of mastering the piano and at the age of nine, she did so under the guidance of the Director of the Madras de Chennai Musical Association, Mr. Agustine Paul. All over the world, it is said that Lydian plays at the age of 10 the works that Mozart composed at 18. However, Lydian says that his favorite composer is Chopin. For Lydian, music takes the body in his mind and emanates from his hands by instinct, just like Chopin did. But Lydian is also a follower of Indian virtuosos such as Ilaiyaraja and AR Rahman. After the impact of her viral representation in the networks Lydian received a Steinway piano donated by the Novogratz family from New York. During the games with his sister one day he decided to play the piano blindfolded and did it. To his satisfaction, he managed to perform complex pieces just as Mozart did. They are the games of a child genius. Lydian's performances are as moving for his talent as for her charisma. The young pianist has a captivating smile that illuminates the stage with the joy of a child who enjoys his talent. Lydian's musical genius allows his to grow happily between musical notes, enjoying the pleasure of playing the piano or drums. For Lydian Nadswaram, music is the universe where her dreams come true: the dreams of a child and the execution of a Master.